Let them know that mummy's (or daddy's!) 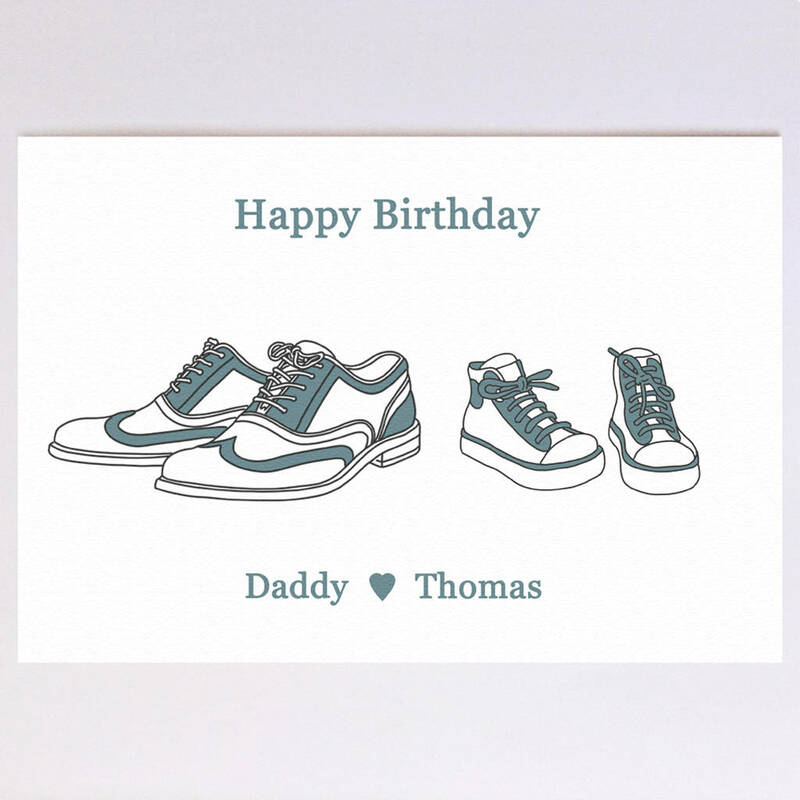 shoes are always the biggest to fill with this personalised Birthday card. 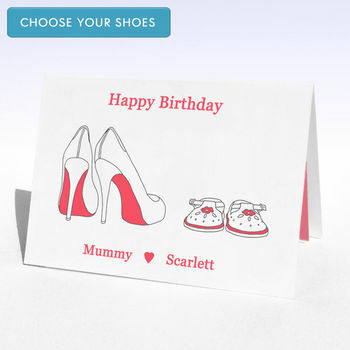 This personalised shoes Birthday card lets you choose the types of adult's and child's shoes on the front, from a pair of high heels or brogues for the grown ups and a buckled sandle or stylish sneakers for the kids. You can also add the names of the people represented at the bottom of the card between a little heart. This card is a perfect card from younger children to mummy, daddy or a favourite auntie, Grandma, grandpa (or vice versa)! The top line is defaulted to 'Happy Birthday', but you can add to or change this to whatever you want, and the bottom line will be filled by your choice of names. Your message and names on this Birthday card will be copied exactly, including capital letters, spacing etc so please make sure that the message you type is the whole message you want! 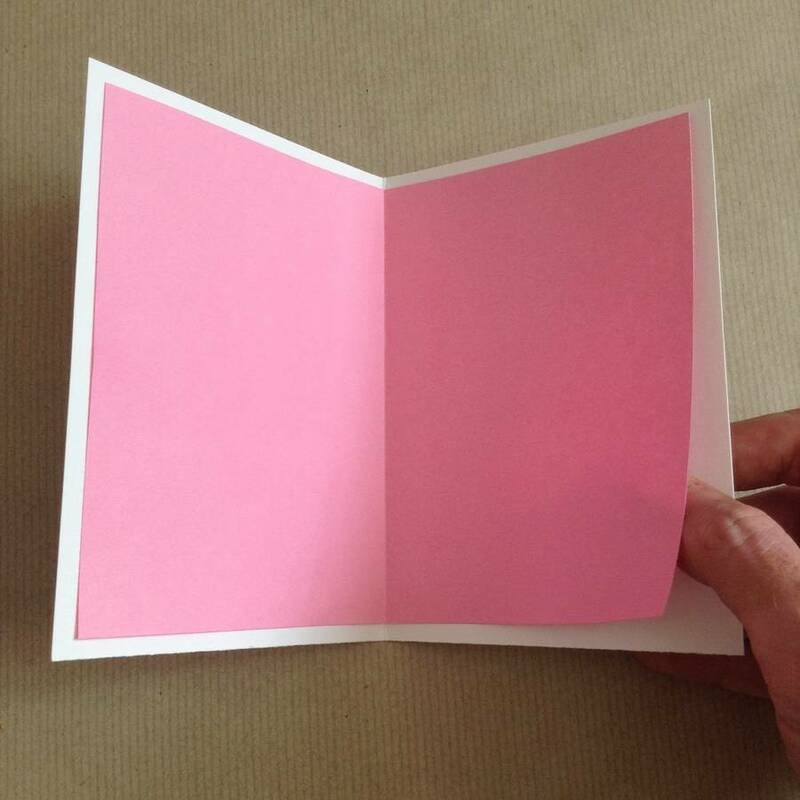 All CLEAN cards also come with a coloured paper insert, which you can have either handwritten or printed with a personal message of up to 150 characters for the inside of the card. 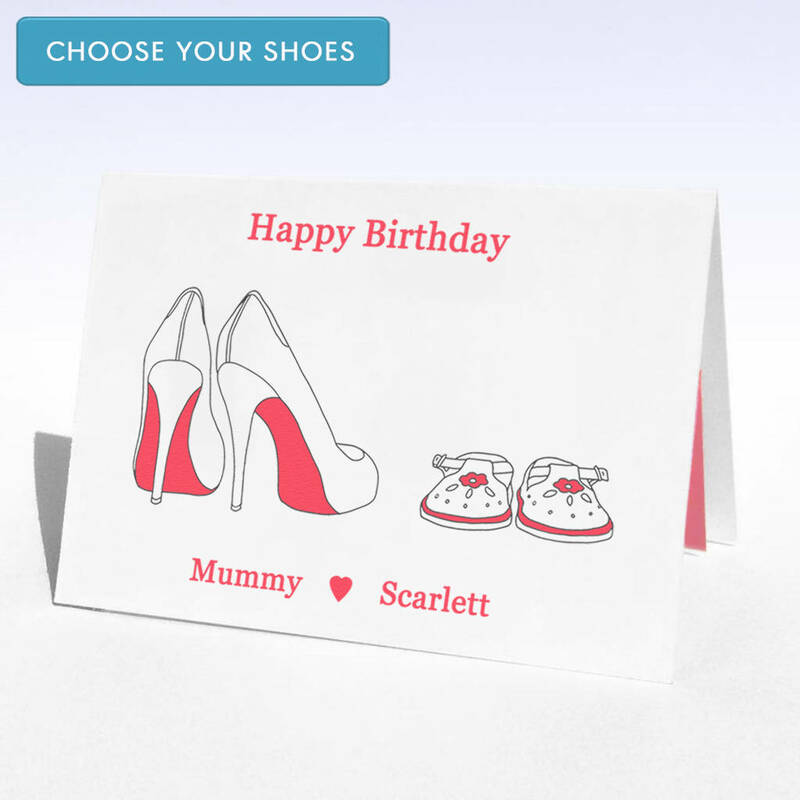 We can then send your card directly to your recipient, a helpful option if the big day is fast approaching. 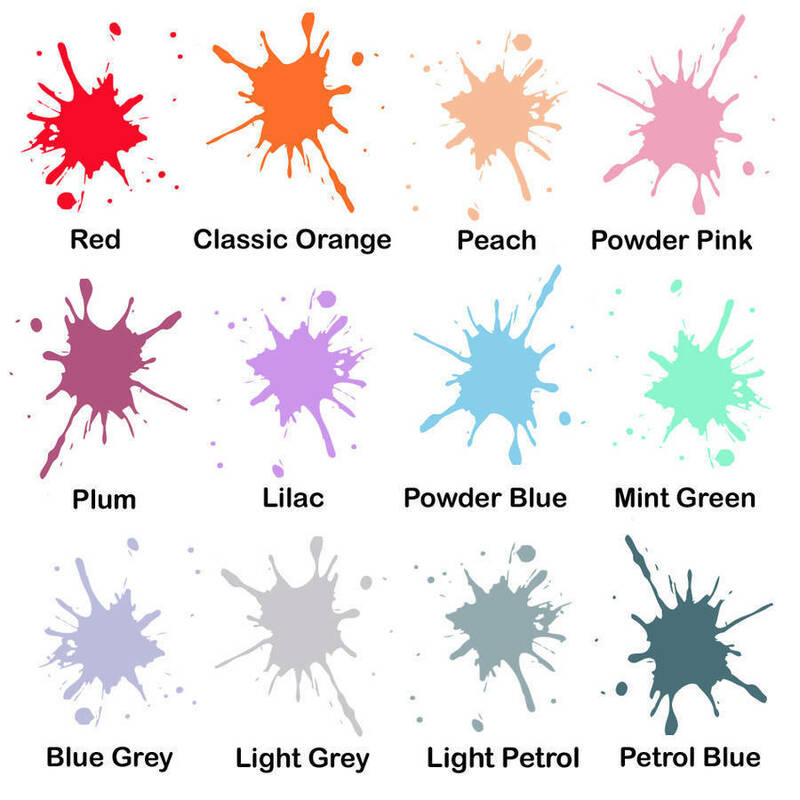 Colour option examples are shown on the key image. The colour shown in the main image is red high heels and buckled sandles (and in the second example image powder blue brogues and sneakers). 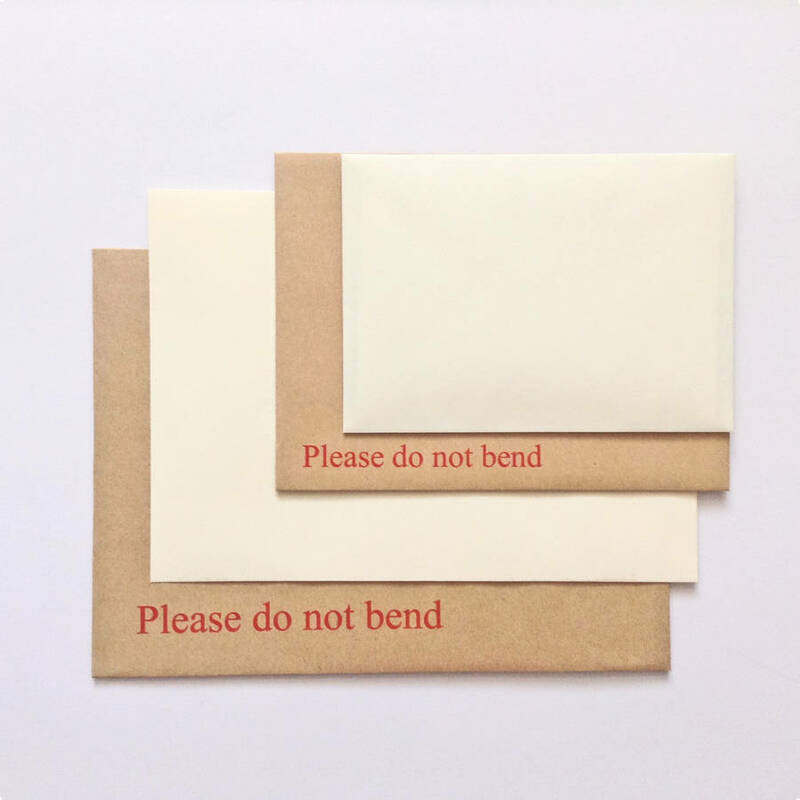 All CLEAN Design cards are supplied with a 100gsm Ivory, blue or powder pink envelope and a 'do not bend' envelope if going back to you first. We also make many other birthday cards, including those for penguin, Unicorn, bear, lobster and alcohol lovers. Just see our other listings.